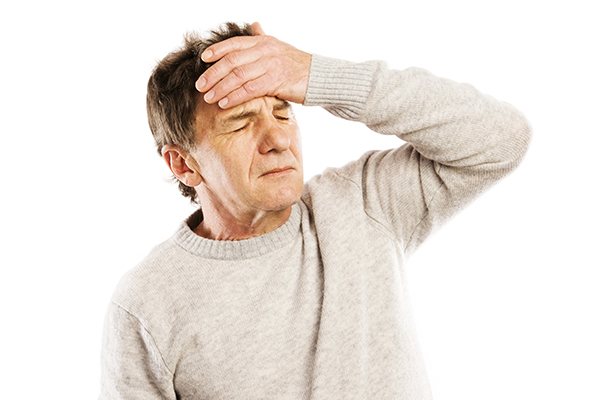 If you have COPD, you may experience dizziness. Why? A buildup of carbon dioxide in the blood can happen at night when you are not getting proper air. Due to travelling last week, I unfortunately let myself get run down & caught a bad cold with lots of sinus congestion, sore throat, cough & chills. Just a couple days into my illness I noticed I was extremely dizzy even when I was sitting still. Since I have had BPV (benign positional vertigo) for many years I recognized the symptoms right away. I put it down to sinus congestion re-activating my BPV but maybe I should have been looking at my oxygen levels. Last year I started on COPD Herbal formula treatment from rich herbs foundation, the treatment worked incredibly for my lungs condition. I used the herbal treatment for almost 5 months, it reversed my chronic obstructive pulmonary disease. My severe shortness of breath, dry cough, low energy, fatigue, chest tightness and others gradually disappeared. Visit rich herbs foundation official web page ww w. richherbsfoundation .com. This COPD treatment has improved the quality of my life greatly, i breath much better and feel comfortable doing so! Last year I started on COPD formula treatment from rich herbs foundation, the treatment worked incredibly for my lungs condition. I used the herbal treatment for almost 5 months, it reversed my chronic obstructive pulmonary disease. My severe shortness of breath, dry cough, low energy, fatigue, chest tightness and others gradually disappeared. Visit rich herbs foundation official web page www. richherbsfoundation. com. This COPD treatment has improved the quality of my life greatly, i breath much better and It feels comfortable!